The 3am Teacher: Flash Sale!!! I have been super busy, but I have not forgot about all of you!! I will be doing some cleaning and weaning over the next few weeks at all of my online shops. Some of my sets will disappear and many new ones will appear!! I am not trying to rhyme.. it just comes naturally!! I just wanted to let you all know that you can get 30% only at my Etsy shop until the last day in May!! Use code: SHOP30 when checking out from my Etsy shop. Thank you very much for you support and have fun shopping!! 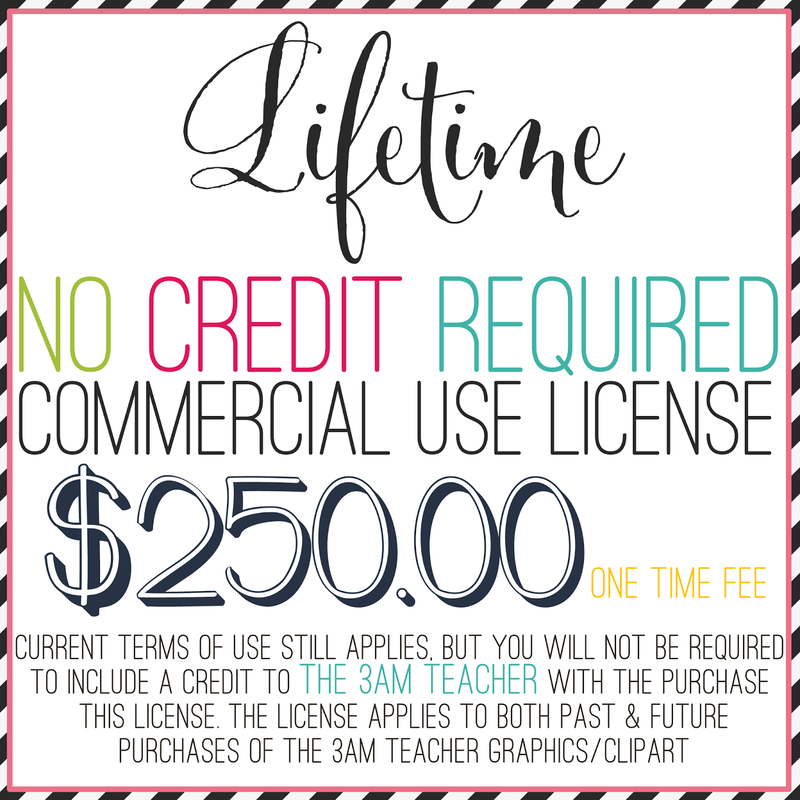 You can now purchase a lifetime NO-CREDIT license!! The license allows you to use my graphics in your digital products without being required to include credit in the form of a link back to my shop!! Now you can easily create banners, signs or even a t-shirt without having to worry about licensing!! Use the 30% discount at my Etsy shop and save $75.00!! So very excited! I will be shopping when I get home from school today! Thanks for the sale, scored some really great papers, just what I needed to get the creative juices flowing!